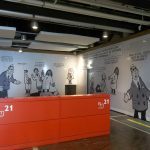 Check out these images from the new exhibit (“L’économie: Krach, Boom, Mue?”) at the Cité des Sciences museum in Paris… now through Jan 5 2014! Congratulations and many thanks to Judith Guitteny and her colleagues at Cité des Sciences, and to TSE economist Christophe Bontemps, who translated the French edition of Cartoon Micro. 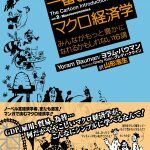 Cartoon econ books coming in Spanish! Debate, a division of Random House Mondadori, has agreed to translate Cartoon Micro and Macro into Spanish! Estoy muy feliz! 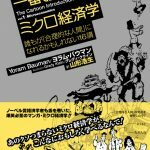 Cartoon Micro now available in Japan! Published by Diamond, available at Amazon Japan and elsewhere. PS. And, courtesy of the publisher, here’s one of my comedy routines with Japanese subtitles! Update: Cartoon Macro is now available also! 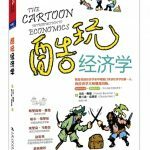 Cartoon Micro now available in China!